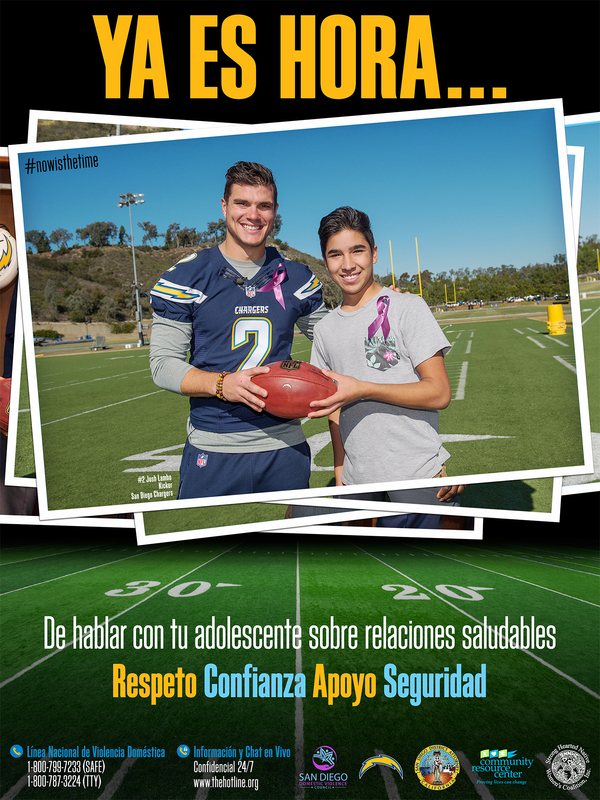 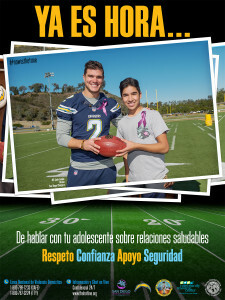 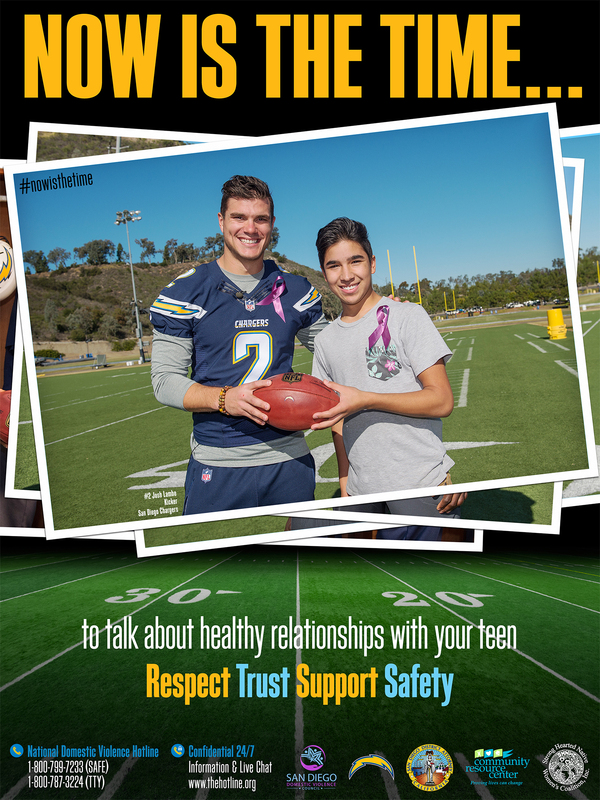 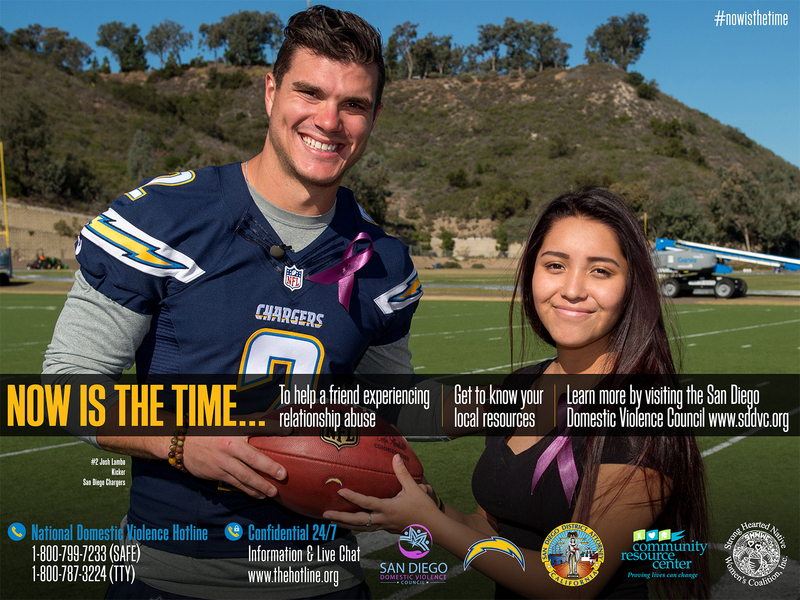 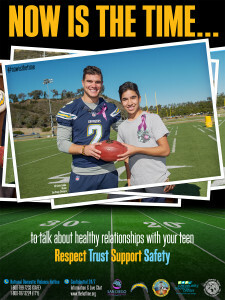 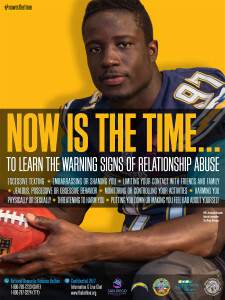 As the President of the San Diego Domestic Violence Council, it has been my absolute honor to participate in the development of a multi-prong public awareness campaign surrounding teen dating abuse with the San Diego Chargers. 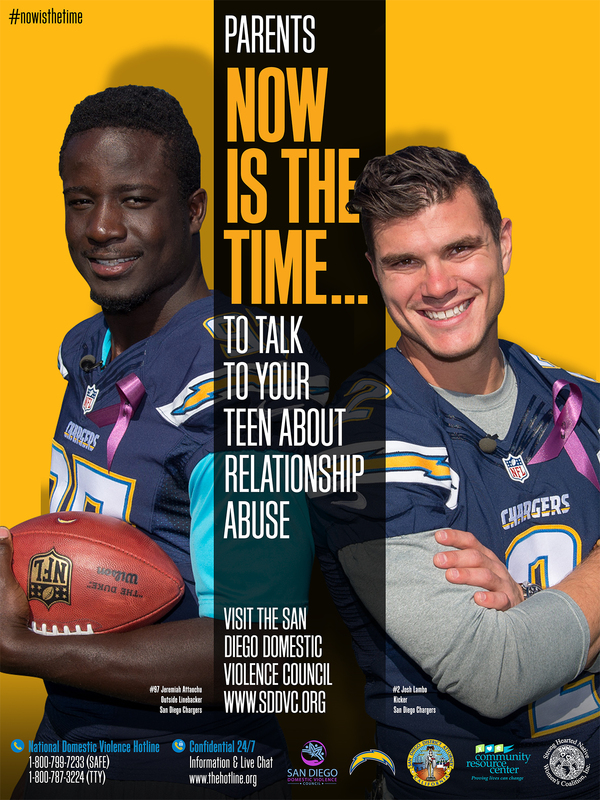 I strongly believe that conversations surrounding healthy relationships, self-worth, and other topics related to the partners we choose for ourselves should begin in childhood. 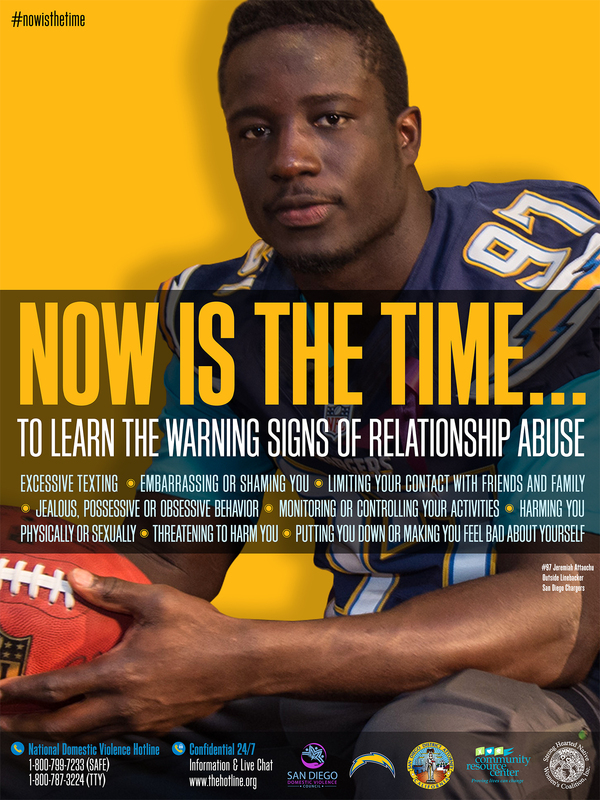 It’s never to early to begin talking about mutual respect, boundaries within relationship, individuality, unconditional love, as well as red flags and warning signs. Please take a moment to check out today’s press conference!